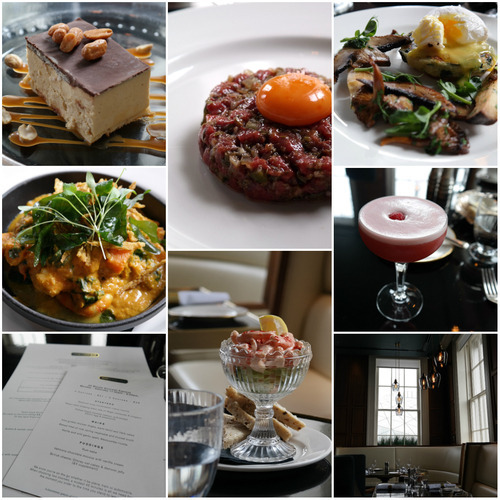 Set inside the Great Northern Hotel, which is conveniently located in King’s Cross St Pancras station, Plum + Split Milk is a sanctuary for foodies who want to hide away from the hustle and bustle of London town but still have great food. 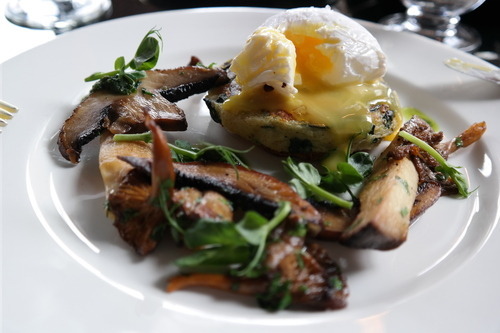 Bubble & Squeak, Woodland Mushroom and Poached Egg – every component was cooked to perfection. They’ve managed to turn the humble Bubble & Squeak into a centerpiece of a posh vegetarian dish which impressed even the biggest meat lover! Spinach was used in place of cabbage. It adds smoothness to the already smoothly mashed potatoes of the bubble & squeak. The garlicky woodland mushrooms added another layer of flavour to the dish and the perfectly poached egg provided the richness to hold the dish together! 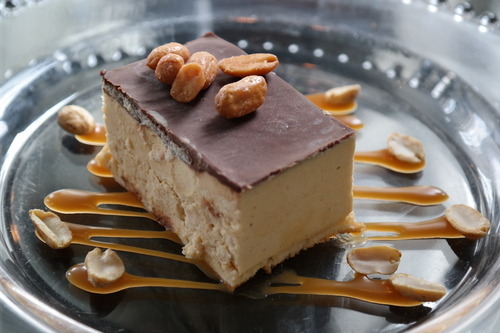 Iced Peanut and Salted Caramel Mousse – simply one of the best dessert i’ve had in a long time! I’m not usually a mousse fan.The texture and consistency of this mousse is heavenly. The combination of peanut, milk chocolate and subtly salted caramel served in an ice-cream like form. Simple, clever and just devine! Definitely higher than average. We paid just over £80 (incl. service) for 2, with one mocktail, coffee, starters, mains and one dessert. The price takes into account the location and ambience of the place too of course.